Erica Lugo (EricaFitLove)’s Story & Guide Of How She Lost Over 150lbs! 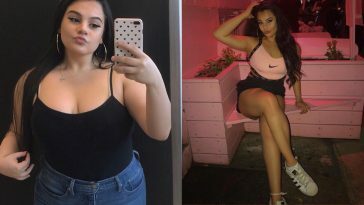 Erica Lugo, perhaps better known as EricaFitLove on Instagram and her social media, lost over an incredible 150lbs in 15 months, through hard work and dedication. 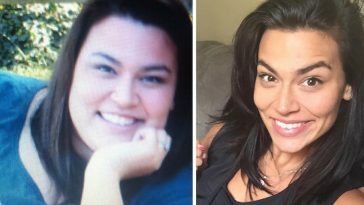 Her amazing weight loss story has helped inspire thousands of other people to start getting healthy and lose weight themselves. 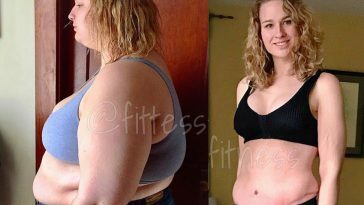 After her weight loss success, Erica started an amazing website dedicated to helping her followers, running live bootcamps to get people into shape and became a cover model for Fit magazine. Below, Erica details how she did it, with her weight loss workout and diet, alongside answering some questions that will help shed more light on her journey. When I first started losing weight, I was so confused with the amount of ‘Diet Plans” there were, so I started with basics. I looked up how many calories I should consume for my measurements to be on a weight loss path on MyFitnessPal, and started there. I knew less calories in, so I started with lean cuisines, smart ones, and if I cooked for the family, I would just portion out what I ate. I stuck with calories at that point. Healthier calories, but calorie counting is where I started. So there was no real “diet” structure other than my calories. When I first started losing weight my routine was mainly cardio 5 days a week for 60 minutes. I would do light weight lifting (small dumbbells) for about 10-15 minutes after because I heard using weights could prevent loose skin. I have always been heavier. My whole life I’ve been the ‘chunky’ one. I developed unhealthy relationships with food. I used it when I was sad, upset, happy, tired, you name it. I started binge eating in my early twenties, which is when my weight really became a problem. My diet was a “hot mess” to be honest. I would eat donuts, left over pizza or 2-3 bowls of cereal in the morning for breakfast at home before work. On my way to work I would swing in McDonalds for a breakfast meal. Lunch was always out with coworkers, and it was always unhealthy. Dinner was junk food. Pizza, Pasta, pizza rolls, easy and quick things because I hated to cook. A lot of the time I would swing in the drive thru for a quick “snack” and then go home and eat dinner. My son. As a parent, when you tell your child “No, I don’t want to play with you” because you are too tired to even get off the sofa because of your weight. THAT’s a problem. Probably around 50 lbs. I had so much weight to lose, that I had to lose a good chunk of weight before people and myself started to take notice. What Small Changes Do You Think Made The Biggest Impact? Just getting to the gym. Any workout was better than no workout! I learned to make fitness fun. I learned to make living healthy FUN! When you make overall wellness a chore, and think of it in a negative light, you will get negative results. I would purchase new workout music, buy a new workout headband and I started to make friends at the gym! Were There Any Particular Tough Days On Your Journey? Every day is still a tough day. I have to make a choice every morning when I wake up. It’s a life style that you have to work on. Some days are better than others. I am human after all. A dozen donuts sounds great to anyone after a bad day, but what makes it different, is I ask myself “What am I REALLY hungry for.” Most of the time it’s not food, it’s something I need to do for myself. Like a nap, venting to a friend, walking away from a situation for a few minutes. Learning to find the real reasons we turn to food. What Advice Would You Give To Someone Looking To Lose Weight? Have fun and DO NOT compare yourself to others. I have lost some friendships, I have lost some “steam” in my journey because I was so down on myself about how I compared in my journey. We all get to the end result, how we do it is what makes our journey so unique. People always laugh at me because some of the things I eat or that I love to eat are boring or just plain gross! I love to make lean ground turkey, add some ketchup to it and throw some pickles on it! Sounds gross but it’s like a hamburger! Also, my favorite snack is Crazy Richards PB on a low carb tortilla with chopped up almonds mixed in. Wrap it up and eat it! I will also make slushies out of my Motiv8 strawberry margarita Aminos mix. That’s a good go to. People ask me this all the time and I never know what to say, because honestly? It’s just my life. This is my life now. Being fit, healthy and working toward something greater for my wellbeing is something I think everyone should experience in their life. Previous article 9 Amazing Flat Belly Workouts To Help Sculpt Your Abs! Next article Nika Bekavac aka FitNika’s Interview About Her Training, Diet & Transformation! 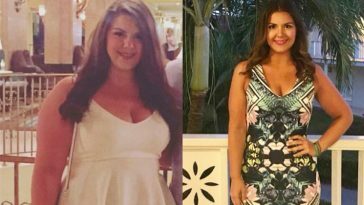 EricaFitLove’s (Erico Lugo) Weight Loss Diet, Meals & Training For Losing 68KG! 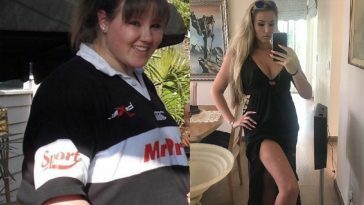 Kenna Shell: Amazing Weight Loss Transformation To Become A Fitness Inspiration! Her Story.